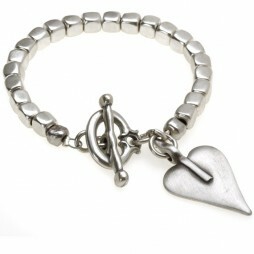 Glam up this season with the fabulous NEW Danon Jewellery Silver Bracelet with Large Chunky Heart. 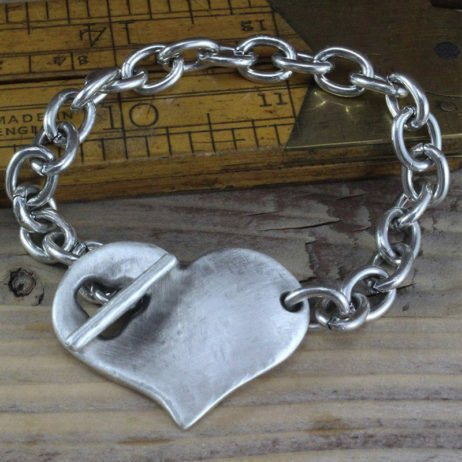 Featuring a striking concave large size antique hammered silver heart design on a chunky silver link chain for round-the-clock style. The perfect gift for loved ones or yourself. Bracelet measurements: 19.4cm with a T bar fastener through the hole at the front of the heart. 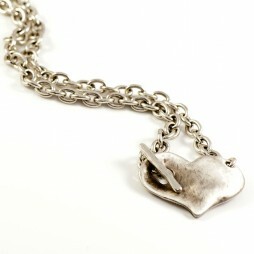 The heart measures 3.4cm wide by 2.8cm long and the chain length is 16cm. Wear with the co-coordinating necklace as see in out image for a stand out look. 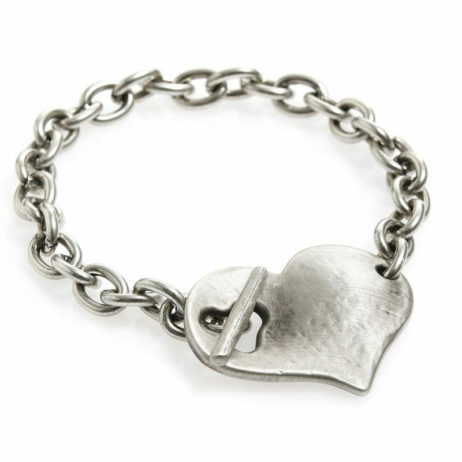 Your Danon Silver t-bar bracelet with Large Chunky Heart will arrive beautifully presented in official Danon gift packaging ready to give as a gift. Josef Danon initially set-up Danon Jewellery at some point in the mid 70’s and they were located in Israel’s Tel Aviv. From a smallish family managed workshop Danon have achieved popularity and their statement jewellery has grown to be in demand around the world. 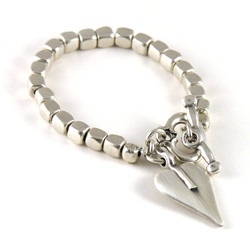 Danon specialize in only one component: creating jewellery and gifts that people today desire. Still produced in Tel Aviv by Danon, their focus to detail and design and style is exactly what makes their jewellery so exceptional and sought after. 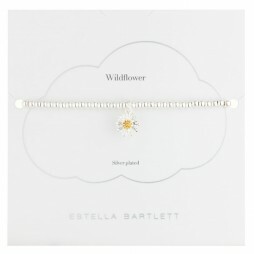 And also being elegant, eye catching and exciting, their designs are incredibly wearable as well as really affordable – Confirmation that first rate quality should not cost the earth. 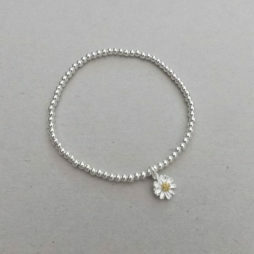 Jewellery from Danon is associated with in demand style and also quality that is simply charming. 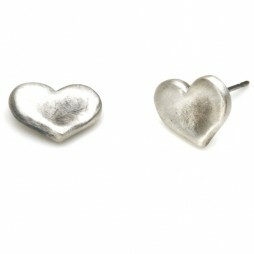 They have in recent times crafted collections which together with using the very latest and most current production procedures, have actually all been hand made to offer each piece a individuality that people have come to associate with Danon and their Jewellery. 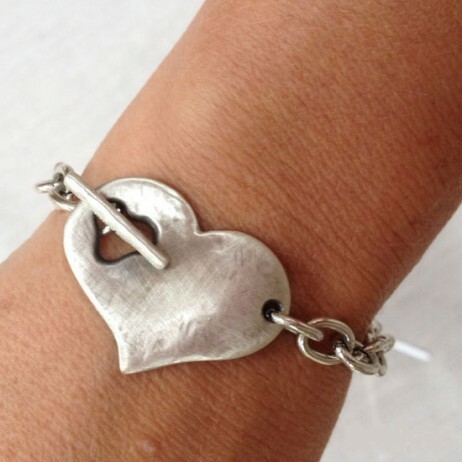 Valentine's Day Gifts, Danon Jewellery, Danon Bracelets, Gift Ideas, Gifts £20 - £40, Bracelets, Chunky Bracelets, Chunky Jewellery, Heart Bracelets, Silver Bracelets.